Welcome back to this week's Blog Roundtable on race and diversity in Caribbean children's literature! Yesterday we heard aspiring Trinbagonian children's author, Rehannah Khan's thoughts on Caribbean multiculturalism and its relevance to Caribbean children's literature. The day before that, Carmen Milagros Torres, an English professor at the University of Puerto Rico discussed race in Puerto Rican children's literature. If you missed either posts, do go back and take a read; very interesting stuff. 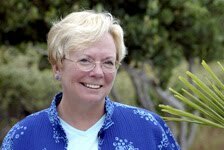 Today, I'm pleased to welcome back Donna Marie Seim, an American children's author whose work has previously been featured on the blog (Read Seim's bio below to see how her work fits in with Caribbean children's literature.) Without further ado, here is Donna's completed questionnaire and below that is her post. *Rate yourself on the following scale of 1 to 10. Additional comments from Donna: I have read Adult and YA Literature written by both Caribbean and non-Caribbean authors. I have read online and in magazines Caribbean children's literature, mostly featuring Afro-Caribbean characters. I have never read any Caribbean children's literature as required reading. 1 - You haven't read any Caribbean children's or YA books, EITHER as part of required school reading OR outside of required school reading, but you have read reviews or summaries of such books. 2- At some point in time, you have read Caribbean children's or YA books (AT LEAST 1) as part of required reading for school. You have NOT read Caribbean children's or YA books outside of required school reading. 3 - At some point in time, you have read Caribbean children's or YA books (AT LEAST 1) as part of required reading for school. You have also read 1-3 Caribbean children's or YA books that were not required school reading. 4 - You have never read a Caribbean children's or YA book as part of required reading for school. You have read 1-3 Caribbean children's or YA books. 5 - At some point in time, you have read Caribbean children's or YA books (AT LEAST 1) as part of required reading for school. You have also read MORE THAN 3 Caribbean children's or YA books that were not required school reading. 6 - You have never read a Caribbean children's or YA book as part of required reading for school. You have read MORE THAN 3 Caribbean children's or YA books. 7 - You review Caribbean children's or YA books (on a blog, website, in a newspaper, magazine, scholarly journal or other media outlet) and have read and reviewed AT LEAST 5 such books. This is not an easy topic to give a short answer. The fact that there is not a lot of available Caribbean literature to be found makes assessing the racial depictions at best a difficult task. I must admit that when I did research for my middle grade reader book (Hurricane Mia: A Caribbean Adventure ), it was hard to find much out there. Most books about the Caribbean were about pirates, slavery or chick lit. (Cruises with cute boys etc.) I was told to read, Jamaica Kincaid's, Annie John . This is a Caribbean YA book written by a Caribbean author and I was excited to read it. Looking back, I would say it was definitely in the Afro-Caribbean racial category. I did not find it to be complimentary to the Afro-Caribbean image. I would need to write an entire paper on this subject if I discussed it any further. In my own book, Hurricane Mia: A Caribbean Adventure , my local or island characters are all Afro-Caribbean with the possible exception of Neisha's mother, Bianca, who could have Latino blood in her (however the only clue I gave was her name, Bianca, which sounds as if it could be Hispanic). I was aware that the majority of locals, or islanders on the islands I have written about, are Afro-Caribbean. The minorities of which there are many, hail from other islands, but they live as islanders and are islanders just as the majority are islanders. There are also many Americans and Europeans who have taken on the islands as their home, or in my case my home away from home; we are in the minority. It is interesting to think about the fact that everyone knows exactly who they are and where they came from even if they live full time on the island. The Belongers (Summer's note: Nationals of the Turks and Caicos islands are called 'Belongers. '), the majority of the people whose descendants came from the slave ships, are all of African descent. Even among the Belongers, there are differences and groupings, such as which island you grew up on and on which section of the island you live. My humble opinion is simply that the outsiders view the majority people of any country as the primary people. There are minorities and newcomers in most countries in the world, not only the Caribbean countries. When one is in the minority you are most definitely aware of it, despite which country you reside in. I think the same thing goes for literature, the majority will most often be given the role of the main characters, unless an author distinctly designs to write about a minority race within the majority. We can debate the terms multi-cultural verses cross cultural. This is all good food for thought. Maybe we should all be more aware of the fact that every country has more than one culture and people, and that the minorities should be represented in literature in equal portions. I believe it is important for children to see themselves in literature and be able to identify with the descriptive character or the image that the illustrator portrays of them. It is a giant task for Caribbean authors to give fair play to all races and nationalities while at the same time being cautious not to misrepresent the images portrayed. At the same time it is important that the young child be able to view the characters or stories with pride, gaining a feeling of self worth without glorifying or over romanticizing the characters themselves. Donna Marie Seim is the author of two children’s books: a picture book, Where is Simon, Sandy? and a chapter book, Hurricane Mia! : A Caribbean Adventure , both set in the Turks and Caicos islands and both illustrated by Susan Spellman. She has also written a memoir, short stories, and Charley!, a soon-to-be-released chapter book. Where is Simon, Sandy? 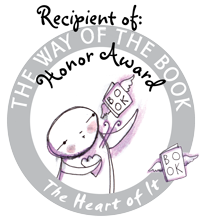 was a recipient of the 2009 Mom's Gold Choice Award (USA) and was also a finalist in the Children's Picture Book category of the 2010 National Indie Excellence Awards (USA.) Seim is a graduate of Ohio State University, and holds a Master's degree in Special Education from Lesley University. Seim owns a home in the Turks and Caicos islands and currently lives in Newbury, Massachusetts, USA with her husband, Martin, and her dog, Rags. Welcome back to this week's Blog Roundtable on race and diversity in Caribbean children's literature! Yesterday we heard Carmen Milagros Torres' thoughts on race in Puerto Rican children's books. If you missed it, do go back and take a read, very interesting stuff. Today, I'm pleased to welcome back Rehannah Khan, a longtime reader of the blog. Rehannah was a guest blogger previously and she always has very thought-provoking things to say. Here is Rehannah's completed questionnaire and below that is her post.Take it away! Regarding whether to consider Caribbean literature as multicultural, I am for it, and thus I have termed my novel (in progress) a "YA Multicultural Fantasy." The reason I justify it is that on the one hand, Caribbean literature is multicultural in the literal sense of the word (that is, about more than one culture, or cultural origins at least). On the other hand, as you have said on your blog, multicultural literature in the US is basically 'minority' literature (which I'm guessing would include the Caribbean). I tend to prefer the literal definition as I consider Caribbean literature on the whole as multicultural literature, though not all multicultural literature is Caribbean, obviously. I suppose this decision has to do with the fact that I have an ethnically diverse cast in my book, and that it's a fantasy. The term 'Caribbean Fantasy' just always sounded too idyllic or superficial to me. In terms of 'minorities' and 'majorities' and whatnot in the Caribbean, numerically speaking, I suppose Afro-Caribbean people would be the majority or at least the perceived majority (I don't have any figures to back that up). In Trinidad and Guyana, however, Indo-Caribbean people would be considered the majority, again numerically speaking. Taking that further, the majority of these individuals would probably be Hindu. Yet I don't know if other ethnicities or religions are treated necessarily as 'minorities' in the way described in the U.S. Taking myself as an example, since I'm a Muslim Trinidadian of East Indian descent (or Indo-Trinidadian), I would be a minority within a majority, which is itself a minority in the wider Caribbean. This just makes talk about minorities in the context of the Caribbean thoroughly confusing. What’s considered the minority in one country may not be in another, or may even differ in different islands of the same country (Trinidad and Tobago, for example). Thus I understand your reasoning about multicultural literature being a somewhat unnecessary term in a Caribbean context, when using the American definition of the genre. The term ‘minority’ doesn’t have a very strong meaning in the Caribbean. That being said, if asked, I would still have to consider myself a ‘minority’ in the Caribbean, given my religious and ethnic background. Again, this is in terms of numbers (which I don’t have exact figures for). Despite this, I wouldn’t say that the experiences of Caribbean people (at least in the same country) of different ethnicities are all that different from each other. Yes, there are differences because of religion, but in my opinion, I don’t think all these differences make that much of...well...a difference. I think it boils down to the way we speak. If you notice, older generations tend to speak a little differently from younger generations, even within the same race, and younger generations of people tend to speak more similarly to each other, regardless of race. What this means is that with every new generation, cultural differences (like language, in particular), get smaller and smaller, and most ‘post-race’ young people, to use your terminology, are capable of appreciating their religious and ethnic heritage, while not letting such differences get in the way of their overall Caribbeaness. In my opinion though, I would have to say that there has been an under-representation of characters and cultures in Caribbean literature (especially children’s) that are not of African origin. This probably has more to do with the fact that most Caribbean authors are of African descent, who may also be of an older generation and whose experiences may not be as broad culturally as younger generations. Thus, while there may be a cultural ‘minority’ in Caribbean literature and Caribbean children’s literature, I couldn’t say if this is a result of deliberate discrimination or not. However, I also don’t think that Indo-Caribbean (or any other sub-culture) type of books should be a distinct category or subgenre in Caribbean literature. This is perhaps because, although I am of Indian origin, I wouldn’t consider my experiences as having a certain ‘Indianess’ about it, and although I am Muslim, I grew up attending Roman Catholic schools. My experiences are multicultural, and therefore, I write multicultural. I don’t find the "Caribbean Folklore Diversity" widget box on your blog (Summer's note: Rehannah is referring to the display of Amerindian and Indo-Caribbean kid lit. in the left-hand column of my blog!) offensive, although perhaps it’s a bit unnecessary. Those books seem more historical or folkloric, so perhaps it’s better to classify them as that, along with other books in that genre with different cultural origins. That’s just my opinion though. The fact that you felt the need for that widget in the first place, however, is kind of proof that people of Indian and Amerindian descent (and others) are under-represented in Caribbean children’s books, and Caribbean books on the whole. Furthermore, the title of the Anansi conference (Summer's note: Rehannah is referring to a conference titled 'A is for Anansi: Literature for Children of African' ascent that I presented at in New York last year.) is also more proof that there does seem to be a perceived Caribbean ‘mainstream’ in the US where ‘Caribbean’ in the US means ‘African’. I’m not certain if this is the case in the UK. Rehannah Azeeyah Khan is a self-taught Trinidadian author of an unpublished children’s book, which she likes to call a "Young Adult Multicultural Fantasy." She is currently seeking publication. A Muslim and former St. Joseph's Convent girl, Rehannah holds a B.Sc. in Information Systems and Management, which thus far has been helpful in giving her some much-needed organizational skills (but perhaps some day she’ll get that MFA!) Rehannah is an avid reader of all genres, and is always happy to get her hands on a great Caribbean read. Blog Roundtable: Carmen Milagros Torres on Race in Puerto Rican Children's Lit. 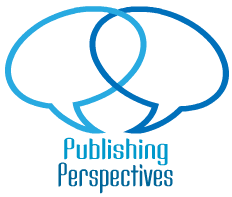 Welcome to day 1 of the first ever Blog Roundtable on race and cultural diversity in Caribbean children's/YA books. Today, we will hear from Carmen Milagros Torres, an English Professor at the University of Puerto Rico. This is Carmen's first time on the blog and I'm pleased to have her here: welcome Carmen! Without further ado, let's hear what she had to say! Oh, and I forgot to say yesterday that Roundtable participants were asked to answer a brief questionnaire. Below is Carmen's completed questionnaire. While other Caribbean countries have characters like Anancy the spider that was influenced by its African legacy, in Puerto Rico, the character of traditional literature that stands out is Juan Bobo who is a jibaro. Jibaros have come to represent Puerto Ricans but jibaros are really those white Puerto Ricans who mainly lived in the mountainous center of the island. Jibaros are represented with Spanish physical traits i.e. light skin and straight or soft wavy hair. However, some books have appeared in print that have shown other facets of race in Puerto Rico. An example of the race and diversity in Puerto Rico is the picture book The Red Comb by Fernando Pico. The story takes place in Caimito, a sector in Rio Piedras which is now part of the island’s capital San Juan. This area is mostly populated by Afro-Caribbeans because many liberated slaves established themselves in this community. It is with the guidance of Rosa Bultron that Vitita is able to help the runaway slave. At the end of the story, the runaway slave, now called Carmela, becomes part of the community but with a hidden identity. No one in the community except Rosa Bultron and Vitita knew that she was the slave that had recently escaped and Pedro Calderon had tried to capture. This story presents to children a part of history that mostly goes untold. It highlights the African heritage of our island. In my research which is in the preliminary stage, I found books that deal with Tainos (pre- Columbian inhabitants of the island of Puerto Rico) or characters that represent the European heritage of Puerto Rico. Books like The Red Comb are rarely seen and discussed in schools. These books are not usually found in children’s homes. Race and the diversity in the Caribbean is a topic that has not been fully explored in Puerto Rico. Puerto Rico needs to strengthen its production of children’s books not only in Spanish which is the primary language spoken in the island, but in English as well. Most of the books found for children are those that portray American society and lifestyle distancing more children from their Caribbean heritage. Writers in Puerto Rico must look for ways to get their stories published and more writers should join us in this objective. Publication is very difficult in Puerto Rico which has caused many to desist in entering this field. Instead of race, identity is the theme that prevails in the books children are exposed to. Books like La Cancion Verde by Doris Troutman and El Coqui que Quiso Ser Sapo by Emmanuel Sunshine Logrono present Puerto Rican identity through the image of the coqui. The coqui is a small brown amphibian similar to a frog that was originally found only in Puerto Rico and sings "Ko-KEE!" during the night. A study of Puerto Rican identity through the coqui should be done, since it is a very popular character in Puerto Rican children’s books and is always associated with the island’s identity. -González, Jose Luis (1993). Puerto Rico: The Four-Storeyed Country. Princetown, NJ: Markus Weiner Publishing. -Loveman, Mara & Muniz, Jeronimo O. (2007). How Puerto Rico Became White: Boundary Dynamics and Intercensus Racial Reclassification. American Sociological Review, 72, 915-939. Carmen Milagros Torres is an English professor at the University of Puerto Rico Humacao. She teaches Basic English, Business English as well as Children’s Literature. She is currently pursuing graduate studies in Caribbean Languages and Literature at the University of Puerto Rico, Rio Piedras Campus. Her field of specialization is Caribbean Children’s Literature. She teaches Children's Literature at the University of Puerto Rico- Humacao (www.uprh.edu) and includes Caribbean Literature in her courses. 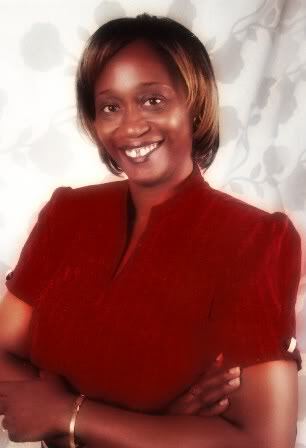 In 2008, she worked with an Electronic Book Project where her students wrote Caribbean stories and presented them in Power Point. They created a blog, the address for which is is http://ingl4326.wordpress.com/. Carmen's children's story "Dancing Bomba" was published in the December 2010 issue of Anansesem Caribbean children's ezine. I wish I could say I started writing children’s fiction out of some strong motivation, but I can’t. The first YA novel I wrote came out of challenging myself. At the time I started writing the book, I was a member at an online writing network and had already produced some short stories. One of my peers suggested that I try my hand at a novel, and after thinking about it for a while, I decided to get moving on that project. During my childhood, my reading staples consisted of books written by American and British authors. At high school level, I was introduced to Caribbean novelists in English Literature classes. My school library had a collection of West Indian novels and that’s how I expanded my reading; however the subject matters in these novels were not specific to children. These were stories about West Indians trying to survive in Britain, but I didn’t enjoy reading them any less. I wasn’t sure what reception my novel would receive once it was finished, but I decided to worry about that later and focus on producing a salable manuscript. Inspiration came when a friend of mine told me about a situation her teenage niece was facing. She had lost her father suddenly and that provided a starting point for my novel, which I took in a different direction. Though I had the plot worked out in my mind, getting the mechanics right felt like a gargantuan task. I had put the cart before the horse, wanting to write the story before I had the requisite skills. Sure, I had always gotten good grades in English and English Literature, but fiction writing demanded a different set of skills. I realized that I needed some basic knowledge if I was serious about writing YA fiction. At this point, I also decided to move on from the writing site I was on. Up to that point, I was blogging, which doesn’t compare with story telling. 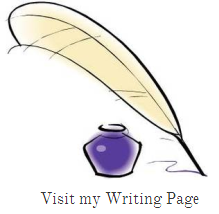 I migrated to thenextbigwriter and with the help of a group of patient and talented writers, combined with time spent reading innumerable articles on fiction writing, I learned the craft of writing. Call it on-the-job training. That first novel dealt with issues that are common to the Jamaican situation, such as a home with too many children and not enough resources to go around. However, there were also not-so-common situations, such as the protagonist witnessing her father’s murder. In my opinion, that special something which sets the book apart is the main character and the way in which she handles the challenges that confront her. For someone who had no ambitions of writing a young adult novel, I have moved to a place where I am happy that I wrote the book. After having read the book five years ago, my beta-readers still ask after that eleven-year-old girl as though she were a real person. Since then, I’ve continued the family’s saga through her brother’s story, and my readers were happy to see how that first character had developed over the two-year period that had elapsed in the storyline. The story’s reception was good enough reason for me to have written the book. It’s not everyday that a writer creates a story that resonates with readers so that they laugh, cry and experience triumph alongside the characters. Joy Campbell-Chambers (who also writes under the pen name Jayda McTyson) is an author from Jamaica. Her short stories and articles have been published in Bookends, the literary pages of the Sunday Observer. In 2008 and 2009, she participated in the Jamaica Cultural Development Commission's Creative Writing Competition and won several medals for her short stories and Young Adult novels. Her awards include Outstanding Writer in the novel category. When she isn’t plotting and researching new projects, she enjoys cake decorating, gardening, and reading. Her first novel, Contraband, was published in April 2010 and her second, Dissolution in October 2010, while the publication date for the third, Hardware, is yet to be set.